The universe actually is perfect for life in many, many ways. Yesterday I provided some background to what ‘The universe is perfect’ means. The analogy that I provided at the beginning of that post is the analogy that we used with our kids to teach them the basics about fine-tuning. In that post, I had you imagine that you’d stumbled across a house that was perfectly designed for you – it had all of your favorite things, food, activities, etc. I asked you to tell me what you would think if this had actually happened to you. Was stumbling across this perfect house just a coincidence, or pre-planned by someone who knew you? 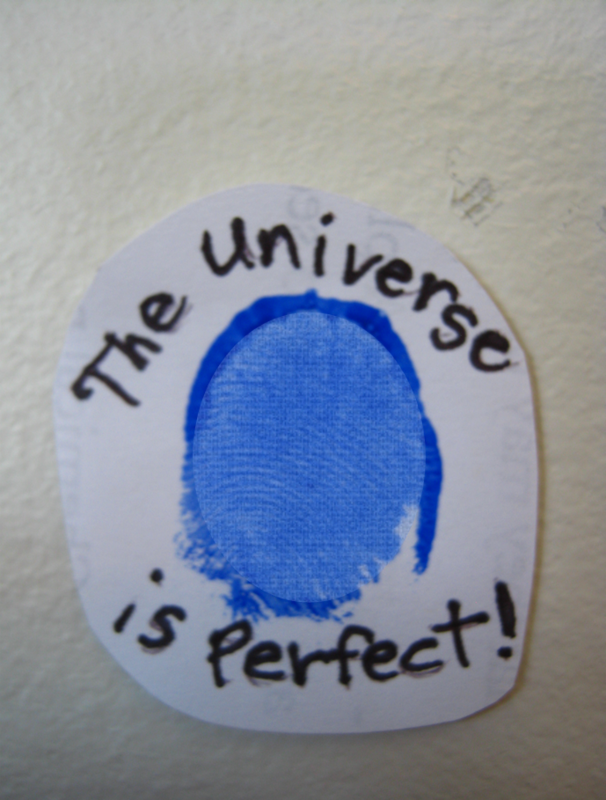 Here are some ideas on how to help young kids find the fine-tuning fingerprint of God. We had them investigate what was in each room (they were filled with all their dream food and stuff). We then asked them what they would think if they stumbled across a house just like that: would they think that it was a coincidence or designed on purpose for them? We then shared with them some of the things that are fine-tuned in the universe and likened those to their perfect house. 2. 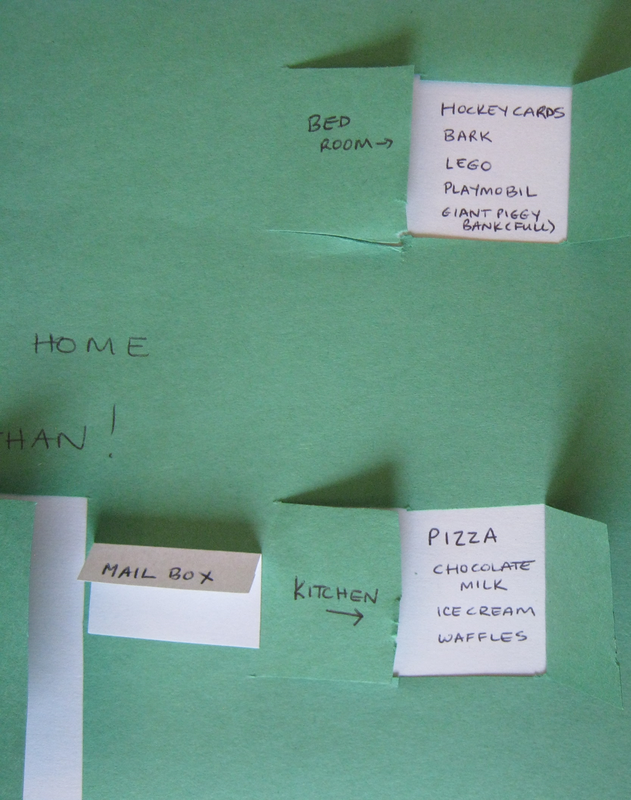 Older kids will likely be able to imagine a perfect house or bedroom on their own without your needing to make a paper version for them to look at. You can talk through the illustration in the same way. 3. Here’s a different idea: Stretch a measuring tape out as far as it unrolls and place a hair along it to illustrate the range of forces for gravity. Move the hair one hairs’ breadth. This is even more of a change than the example given in yesterday’s post, but it illustrates what a fine change in the force of gravity is needed to completely ruin the ability of the universe to support life. 4. The fine-tuning of the constants for life is so precise, its been conservatively estimated to be at least one part in a hundred million billion billion billion billion billion (a ten with fifty-three zeros after it). Robin Collins says that’s like throwing a dart from outer space and hitting a bull’s eye that is smaller than the size of a single atom. For this activity, you’d need something very tall to stand on. Our stairwell from our second level to our main floor is open, so it allows us to do this activity. Drop a piece of sand onto a dart board that has a bull’s eye the size of a pin prick. Can you land the piece of sand directly on the bull’s eye? This again falls far short of the immensity of the odds against getting all the parameters needed for life in place at the same time. In my next post, I’ll talk more about what we are discovering about how our universe appears to be designed to support life. This time we’ll look at astronomy, but very simply!